Damage/Repair Old arrested insect damage to bottom of base, some damage to black pigment in places. Additional Information: This is a one piece sculpture made out of a hard wood, and painted in black. The sculpture has a rounded base designed in the form of a stool with three registrars in relief. It has a long neck. 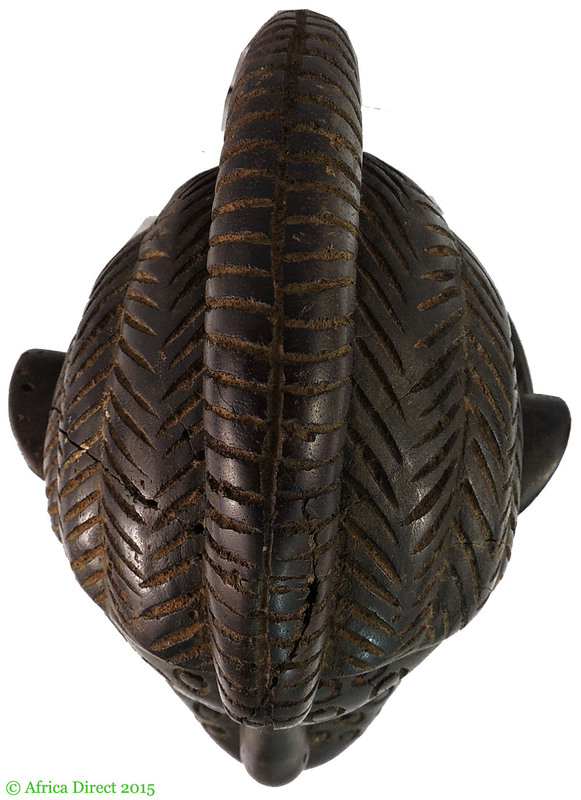 This is a delightful carving and has a place in any collection for it’s age, carving and presence and for what it represents.It is made by the Naluw, a subgroup of the Baga. It is an initiation piece, whjen boys were taught to be humble and respectful. The Baga are a small West African ethnic group living in a coastal area of swamps and inland waterways in Guinea bordering the Atlantic Ocean. The term Baga identifies not only a people or an area but also equally identifies a small constellation of art producing societies. The Baga share cultural traditions and art forms with neighboring Nalu and Landuma and the dominant Susu people. While Baga is their original speech, the language of the neighboring Susu has become commonplace and often Baga art forms are known in the West by their Susu titles. 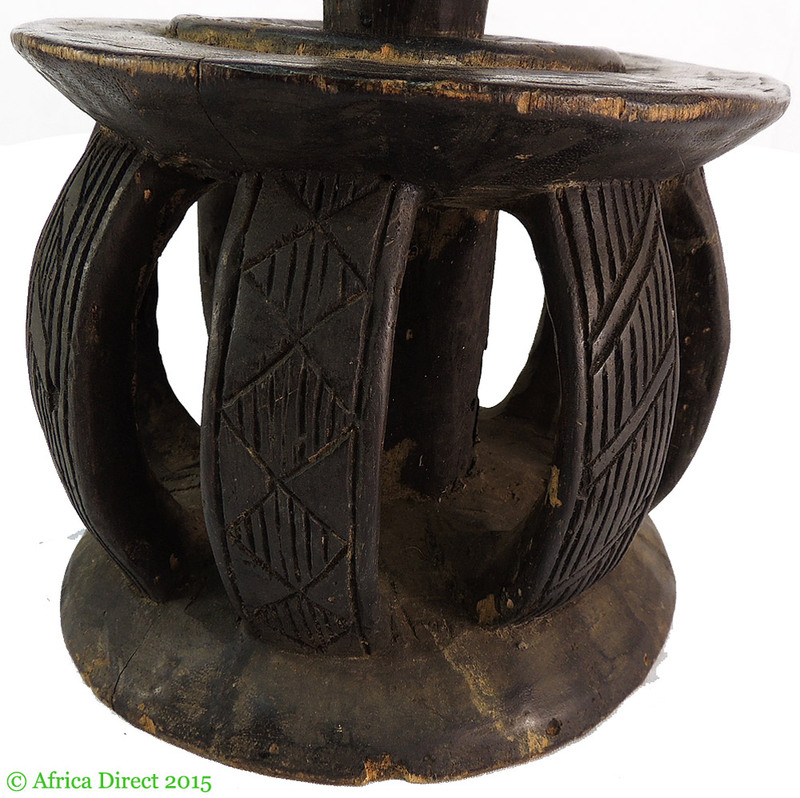 Examples of Baga sculpture have been documented as early as the nineteenth century and noted by early travelers. The Baga live in small villages divided into a number of quarters composed of family clans headed by male elders. The clan elders exercised political and spiritual authority and are the keepers of the secrets of rituals and initiations and controlled the use of ceremonial regalia. The bird as icon is prominent in Baga sculpture whether as a mask or as elegant shrine sculptures called A-Tshol and also known as Elek or Etiol. These are some of the most sacred and complex sculptures found among the Baga and served as shrines to protect the clan against negative forces. A -Tshol worked to heal as a curative agent, to disclose wrongdoers and fight sorcery and to determine appropriate retribution for unacceptable social behavior. Farmers would also approach the a-Tshol during planting season to assure a successful harvest.